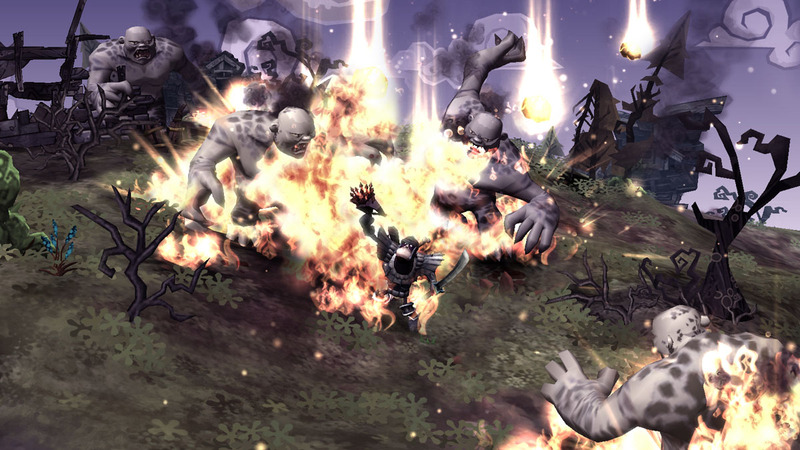 DeathSpank is the new downloadable game brought to us by Hothead Games, the studio behind the Penny Arcade game series. With that being said, we know that we can expect humorous writing and a wacky in-game world. Hothead Games doesn’t let us down with DeathSpank, and continues the poke fun of gaming cliches with its satirical jokes on heroism and more. DeathSpank is an action RPG with plenty of loot to collect, but DeathSpank is also the name of our hero. Like most games, DeathSpank is looking for a mystical object only known as “The Artifact.” What he needs it for and what it does is unknown to both the player and to DeathSpank. The story only gets sillier when we’re introduced to DeathSpank’s nemesis, Lord Von Prong. In any other game the antagonist would be planning to steal “The Artifact” for himself but in DeathSpank Lord Von Prong only wishes to steal DeathSpank’s purple thong. There is plenty of side quest to do throughout the game, but they can get repetitive. You’ll find that they mostly consist of delivering something or killing something for someone. I was hoping to find dungeons and puzzles somewhere. DeathSpank’s story and dialogue aims to get a few laughs from the player, but I never found much humor in the writing. Where I did find the game humorous was in the unique art style of the enemies. It’s not often that we get to fight evil unicorns, giant turtles, and deal with orphans. 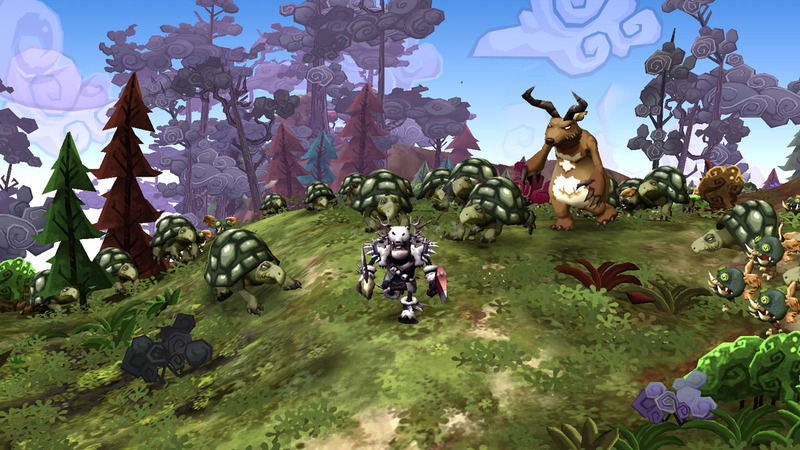 Even without that DeathSpank would remain a visually appealing game for its mix of a 3D environment and 2D elements. It’s a cartoony art style that is being shed out by photo realistic graphics, so its good to see that here and done so well. On the audio side of DeathSpank, the game offers its high and low moments. Some of the music that plays when in free roam can get very repetitive. The voice of DeathSpank can also get tiresome. His voice seems to be a play on a cliche of heroic voices like the Tick, but it doesn’t do the game any favors because now we have to listen to this for the rest of the game. The other voice work in the game is well done and not so annoying. DeathSpank plays much like a western rpg of today, but with a hack-and-slash approach. Each of your four face buttons is tied to a weapon of your choice. When you see an enemy just approach them and push buttons. There are no preset combo moves so you can simply button smash your enemies to death. There is plenty of loot to collect in the game, nearly everyone you kill will drop some kind of loot whether it be money of weapons. Having to deal with the constant addition of loot in your inventory is made easy to manage with the Grinder. The Grinder allows you to grind your old weapons and armor into cash, saving you from making several visits to a vendor. Another good addition to making DeathSpank more accessible is the option to auto equip the best armor and weapons in your inventory. This is an rpg so DeathSpank does earn experience points for defeating enemies and completing quest. After each level up you get to pick a card. Each card gives you the option of increasing a number of DeathSpank’s stats like melee damage, speed, etc. The level cap is set to 20 and it doesn’t take long to reach it. I also found the match ups between an enemy and DeathSpank to be a bit uneven. I was a level 17 and the enemy was a 17 as well, yet I have no chance in defeating him. I assure you it wasn’t my “suckyness.” I would also like to add that the game does offer local multiplayer that I have yet to try, but that only makes me raise the question: wheres the online multiplayer? DeathSpank is guilty of some flaws. The combat could be a bit more robust, and quest could be a bit more diverse. In the end, DeathSpank achieves its goal of making you laugh and entertaining you for over 10 hours, which has become the length of most retail games nowadays. DeathSpank is easily worth its value price of $15 or 1200 Microsoft points. This is a great debut for DeathSpank, and I can only hope to see him again.